Linnaeus started to really get into Christmas this year & asked A LOT of questions about Santa Claus. He's hit that stage where he asks questions all day, every day. He was the only one in our family who somehow avoided getting the nasty but short gastro bug before Christmas. Just before Christmas, we registered him for kindergarten! His appetite has been on & off, but one thing he can always be counted on to eat a lot of is oatmeal, hot or cold. Linnaeus is now a bit over 42 inches tall, but still hasn't hit 40 lbs yet. Though he's a pound shy of the minimum weight for a belt-positioning booster seat, he was too tall for his toddler car seat, so we moved him up. Linnaeus' favourite toys this month have been furniture. His little chairs, various end tables, the back of the couch have all served to build stores, houses, cars, buses, & even a helicopter. His favourite place to go is "Signs Wihld", where he loves the flying saucer, the hollow tree, & the pulley seat in the Eureka Gallery. 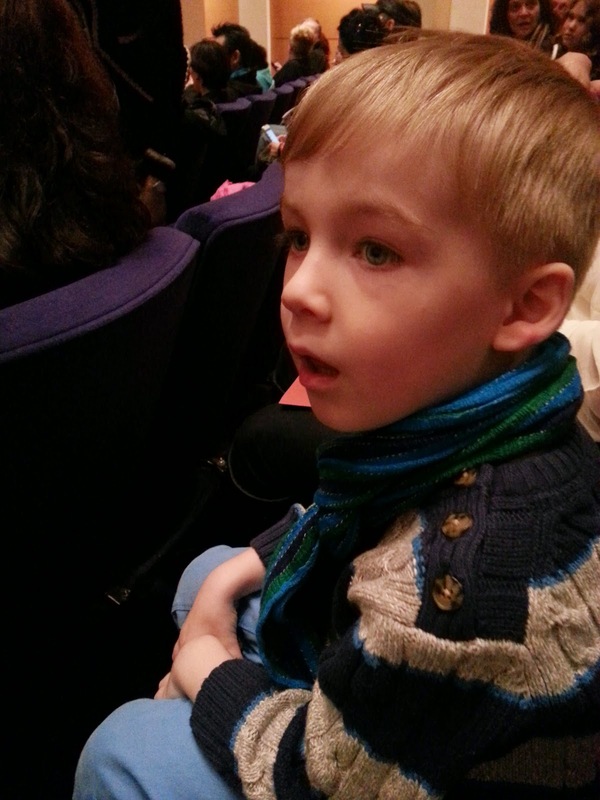 Linnaeus went to see his first ballet: the Nutcracker, & admirably managed to sit through the whole thing (with a lot of wiggling & a couple of seat switches).